What’s the benefit of developing your sixth sense? Tuning in to the voice of your own soul and becoming more receptive to guidance from the spirit world will improve your ability to make decisions about just about everything—finding your soul mate, determining your true path in life, even managing your finances! Not only that, but you will feel more at peace with yourself and better connected with loved ones, living and dead. 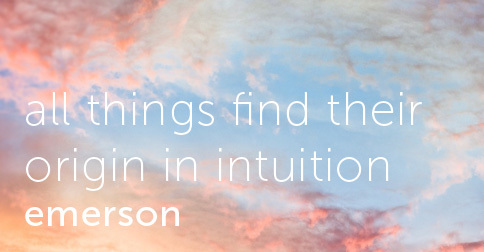 1) Be open to signs of psychic intuition. Everyone is born with natural psychic abilities, but you may not recognize them for what they are. Have you ever thought of a friend who you hadn’t seen in years, only to run into them that very day! How often do you predict who is calling, without even glancing at your caller ID? Do you have a second sense about your loved ones—knowing when they are sick or unhappy, even when they are miles from home? These are common signs that your psychic ability is working. Be sure to take note of them—with a little attention, your intuitive spark can grow into a flame! 2) Expand your consciousness through meditation. To improve your psychic ability, you must get accustomed to seeing with your inner eye and listening with your inner ear. With the distractions of modern day life, it’s no wonder that quiet voice can go unheeded! A regular practice of meditation is the best way I know to train your mind to filter out the chatter, both internal and external, so that you can access the knowing that is inside you. 3) Be mindful of your five senses. To strengthen your sixth sense, first become extra mindful of the sensory skills you already use. Directing your focus toward these senses will allow you to access and understand yourself on a deeper level, so you can open up and utilize your intuition in new ways. 4) Exercise your sixth sense. • When the phone rings, try to guess who is calling and what they want to discuss. • If you receive an invoice, try to intuit the amount before you look at it. • If you are going out for dinner, try to predict what the experience will be like. Picture where you will be seated, what kind of specials the restaurant will have, what the waiter will be like, and how much the bill will be. • If you have a business meeting with a lot of people, use your psychic ability to guess where you will sitting in the meeting, what people around you will be wearing, and exactly what time the meeting will end. • When reading a newspaper headline, try to intuit the main characters and how the story will develop. Have fun exploring your sixth sense! Even if you have no intention of hanging out a shingle and spending your days reading palms and gazing into a crystal ball, making the effort to uncover, understand and strengthen your own psychic ability can change your life—just like it changed mine.